The best way to explore Bulgaria is by rental car, and NÜ Car Rentals Company has great deals on car rentals in Sofia, Bulgaria. Sofia is the capital of the Balkan nation of Bulgaria. It’s in the west of the country, below Vitosha Mountain. The city’s landmarks reflect more than 2,000 years of history, including Greek, Roman, Ottoman and Soviet occupation. Medieval Boyana Church has 13th-century frescoes. Built by the Romans in the 4th century, St. George Rotunda Church has medieval and Ottoman decoration dating to the 10th century. 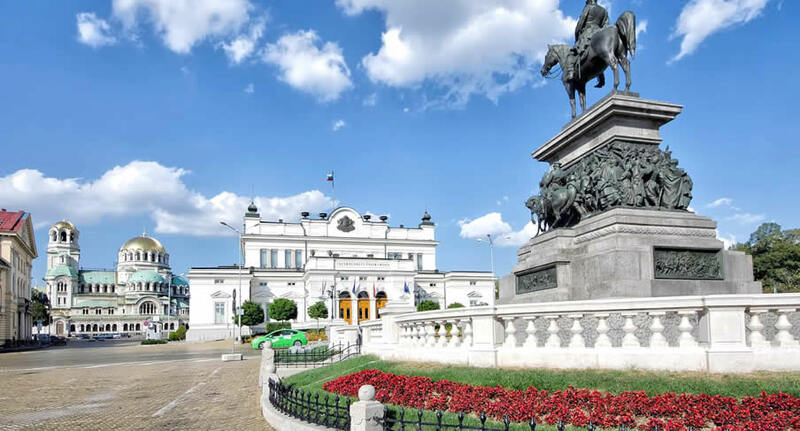 You will find shops, cathedrals, parks and museums in Sofia that will amaze you. Bulgaria has a rich heritage of traditional dance, music, costumes and crafts. NÜ Car Rentals has great rates, exclusive discounts, and the cheapest deals to fit any budget. Get great deals and Discounts on Sofia car rentals with NÜ Car Rentals Agency. Book your NÜ Car Rental today!